Among the few related terms that refer to the rotational separation of the lower and upper body, like counter and counteraction, coiling implies a strong rotational separation of the legs and torso, involving significant muscle activation. 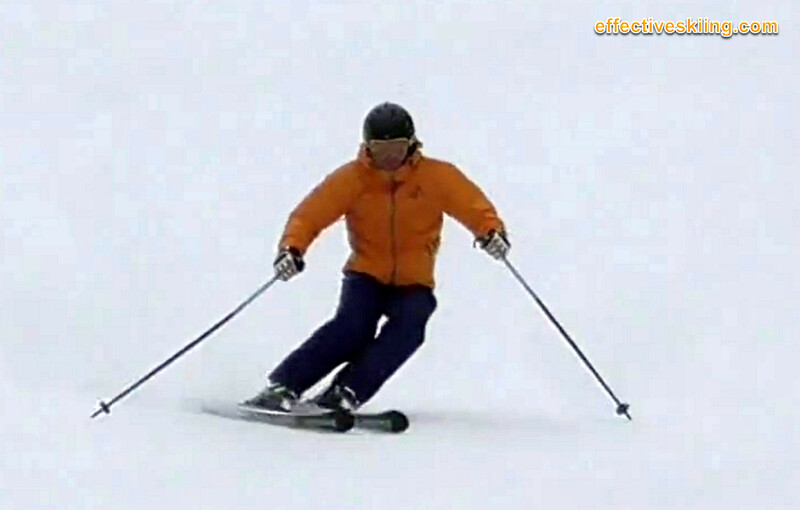 It is a fundamental component of good skiing, complementing counterbalancing and lateral angulation, to maintain balance and alignment on the outside ski. 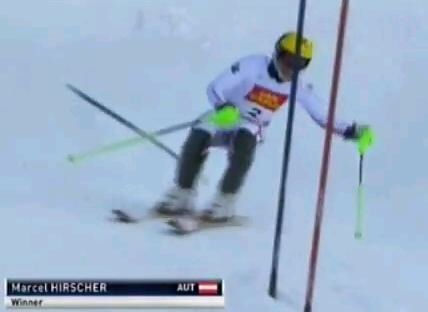 As the skis turn (3) above, the torso turns the other way (4) and maintains a stable appearance. You will also hear this presented as the legs turning under a stable torso. The effort is very useful and more pronounced in short, snappy turns, but maintaining/creating this 'coiling' tension is very important in long turns and all snow conditions as well. The notion of coiling is used a lot in racing1 and because of the insistence on carving, it is similar to counteraction, but with a specific implied strong muscle action - the result of strong countering, above what just tip lead provides (let's call that "static counter"). 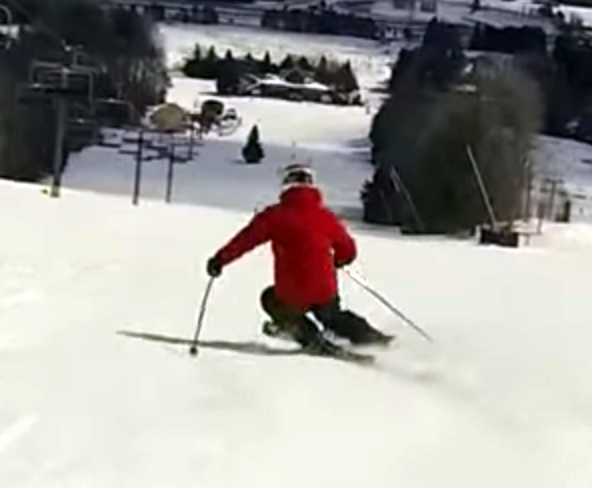 Especially as the turn ends, you are winding or coiling storing lots of energy in the core muscles and throughout the body, as the skis come around sideways but the torso keeps facing down the hill. This energy is used later, see uncoiling below. 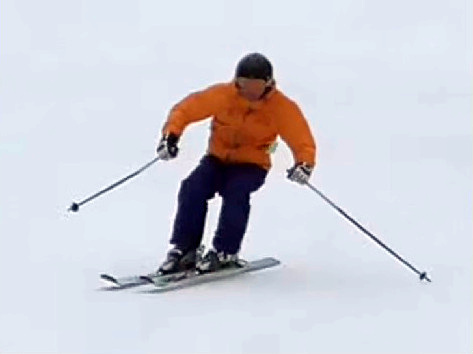 This typically results in an exaggerated hunching forward of the torso, to maintain dynamic balance, reduced balance and reduced grip of the outside ski. The flip side of coiling is the unwinding or uncoiling that follows after skis flat, which aids in getting the skis to grab an edge. While counteracting is defined specifically to be an upper body action, coiling is often viewed as a lower body action, i.e. the legs coiling "under a stable upper body". 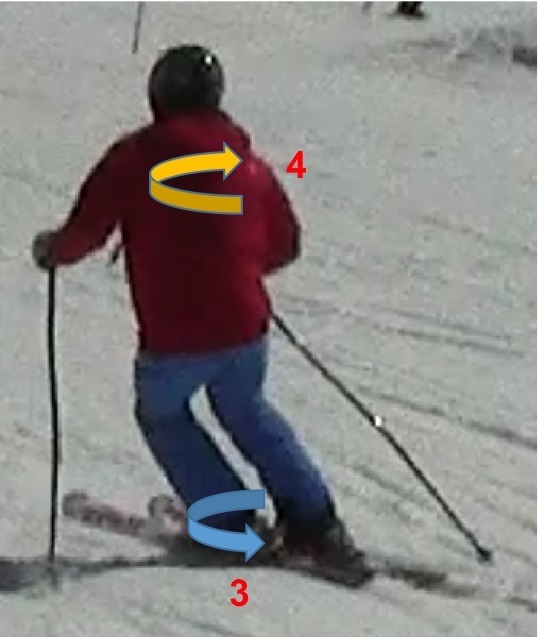 In reality, with the skis carving, lower body efforts to "coil" would imply a rotation into the turn and would take the skis off the edge. Viewed 2916 times ( | Print ) this page.